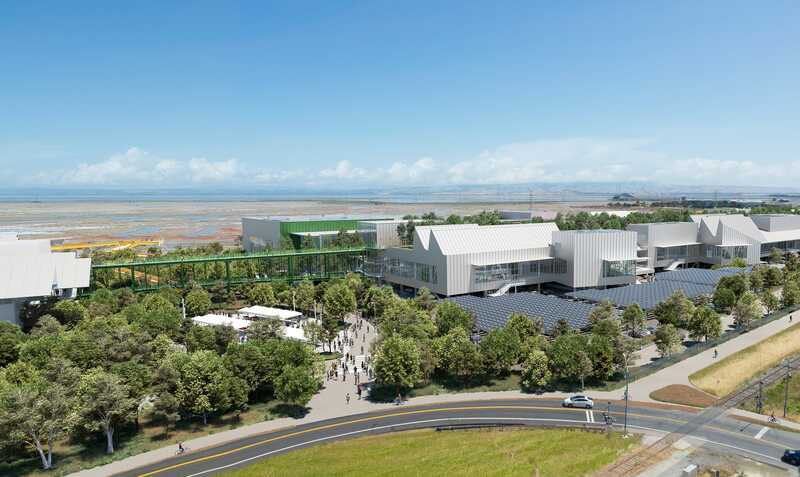 Facebook is opening up its campus to the people of Silicon Valley. New renderings of the office complex in Menlo Park, California, show an expansion aimed at bringing the public onto the social network’s hallowed grounds. 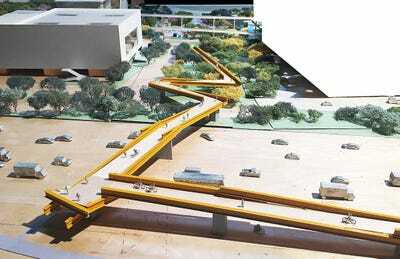 A 200-room hotel, park, and pedestrian and bike bridge will help blend the campus into its surroundings. The new buildings, including two offices, are designed by noted architect Frank Gehry, who completed the first phase of the campus expansion last year. Gehry’s credits include Los Angeles’ Walt Disney Concert Hall and Spain’s Guggenheim Museum. 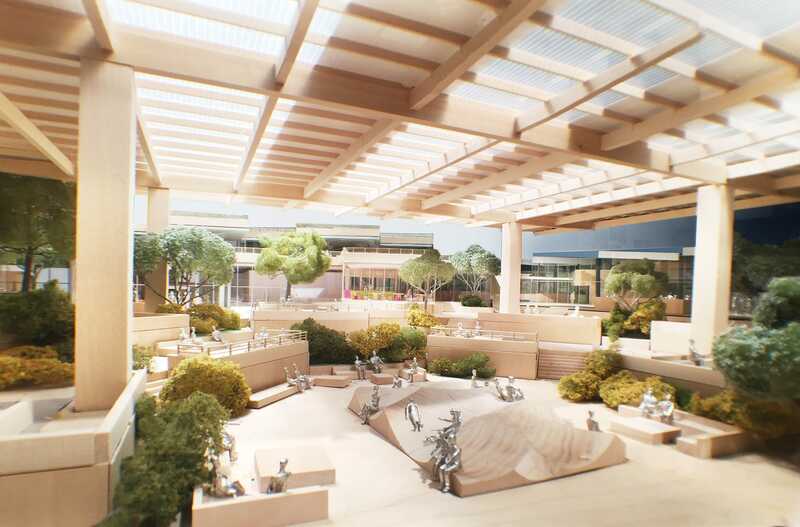 Silicon Valley Business Journal published the first renderings of the new buildings, and it’s clear Facebook wants to become more inviting to the public. A 22,900-square-foot park will host food truck and movie nights, a coffee cart, and a picnic area. 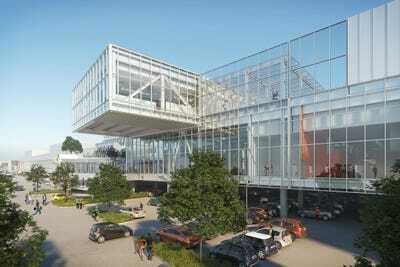 Facebook might also add a grocery store and a pharmacy in the future. Little is known about the planned hotel, like whether the social network will partner with a branded hotel chain or build it from scratch. Two giant office buildings, which are currently under construction, feature peaked roofs that let light inside. 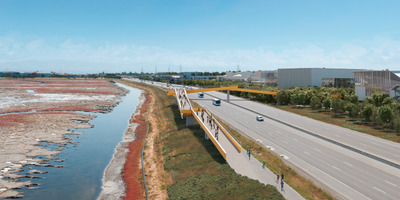 Reactions have been mixed around the proposed pedestrian and bike bridge. When Facebook opened the MPK 20 building in 2015, it severed access to the waterfront trail across the street. The bridge will restore access, though it it resembles a supersized Mouse Trap game piece more than road infrastructure. 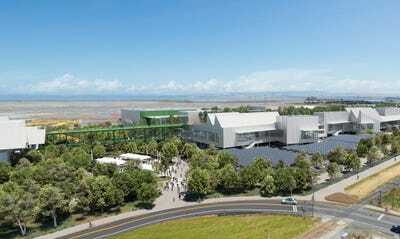 None of the proposals have been approved, and the city will have the opportunity to negotiate Facebook’s development agreement.